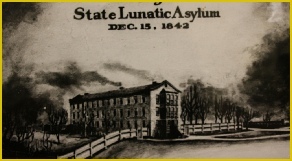 Since 1842, the Georgia Lunatic Asylum has treated the mentally ill. Many of its patients never left. Over 30,000 unmarked graves are found on the grounds. Prior to the 1800s, mental illness was often attributed to a variety of supernatural factors such as possession. Victims were often treated as outcast and were hidden away or forced to work as slave labor. By the 1830s. attitudes about the illness began to shift. In 1834 Georgia Governor Wilson Lumpkin lobbied the legislature in the state capital of Milledgeville for the creation of a lunacy commission. The commission, composed mostly of wealthy doctors from Milledgeville worked with the state legislature to receive a charter for the creation of a "State Lunatic, Idiot, and Epileptic Asylum" on December 28, 1837. 40 acres of land south of Milledgeville was purchased for $4000. On 15 December 1843, the hospital opened and was placed under control of a board of Trustees and its first superintendent, Dr. David Cooper. In the early days, work for the asylum was viewed as a public service and as a result, most of the attending physicians (including Cooper) continued to maintain private practices in Milledgeville. In addition to the doctors, the hospital was staffed with 8 attendants full time. The early hospital was mostly made of brick with wooden roofs. These 3 or 4 story buildings had glass windows with iron works. Lamps and torches provided light at night while the windows helped during the day. The lower two floors were reserved for male patients and the top floors were usually female. Slaves and attendants lived in the basements next to the iron heating stove. Under Copper, the institution applied a radical model of care and treated the patients as though they were an extended family of strangers. 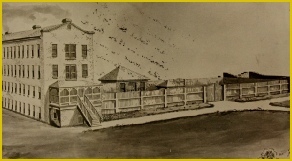 Instead of locking the patients in cells, the mentally ill were encouraged to work in the various departments in the hospital and contribute to their upkeep. Jobs such as tending the fields, garden upkeep and repairing equipment in the workshop were often a key part of the patients treatment. The first patients suffered from illnesses such as depression, alcoholism, hallucinations and paranoia. For a Georgia resident to be sent to the hospital, they had to stand trial by jury (with at least one doctor on the jury) and be found to present a danger to the community. Arriving at the hospital in chains, blue colored rooms were used to calm individuals. If the colored rooms failed to work, the patient would be chained to a chair in the room. In 1845, Cooper was replaced by Dr. Thomas A Green. Like Cooper, Green believed in the "institution as family" model for mental care. As part of the intake ritual, Green made a point to be the one that removed the shackles from new inmates arriving at the asylum. It was not uncommon for Green to dine with the inmates and it is even said that once the institution became overcrowded, Green still would never turn away a new patient. Of the over 200 patients under Green's care, only a handful required incarceration and isolation. In concept, the hospital was designed to be self-sufficient and patient families were expected to pay for their relations care. Facility improvements still required Green to ask the Legislature for additional funds to purchase more land to to complete several hospital buildings such as the library and chapel. 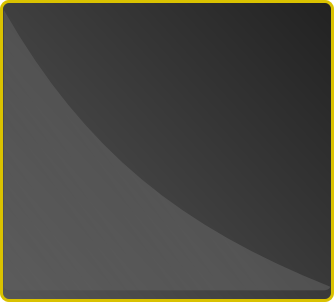 The arrival of the war of Northern Aggression saw the virtual collapse of the economy in Georgia. Families could no longer afford to pay the hospital with the cotton economy in shambles and most of the men fighting in the North. The war had also left the staff of the hospital reduced to only the old and infirm that could not fight. Even so, Green continued to try and operate the hospital. Scavenging for food and money to keep the operation going and even selling off hospital equipment, Green continued to handle greater and greater patient loads as Southern hospitals fell to the Union army. By the time the hated General William T. Sherman ravaged Georgia, the hospital was on the verge of closing. The Reconstruction era brought little relief. Georgia's economy was destroyed and the State could not properly fund the hospital. At the same time, freed slaves also needed support from the hospital. Because the hospital could not afford to build a separate "colored only" building until 1866, for almost a year former slaves sleep outside the hospital buildings. As the economy improved in the 1870s, so did the demands on the hospital. With an operating budget of $100,000 there were 4 doctors treating 448 patients in 1872. Green had limited the asylum to only non-violent patients but that still left 2-3 patients crowded into 10 by 12 foot rooms. In an effort to further reduce the demands on the hospital, patient stays were also generally limited ot 1 year. Unfortunately the asylum had an easy way to dispose of unwanted criminals, alcoholics and the elderly. In 1874, Green's assistant, Dr. Theophilus Powell, became the new superintendent. Under Powell's watch the overcrowding problem increased exponentially when the Legislature passed a law in 1877 making the asylum free for all state citizens. Powell and his staff struggle to control the population. Through a more aggressive effort to diagnosis illnesses and direct lobbying of the legislature to pass the 1886 law allowing the return of the non-violent incurables their home communities, Powell made a heroic attempt to keep the hospital growth manageable. The renamed Georgia State Sanitarium had grown to 3347 patients by 1910. Even with 12 dedicated doctors, the staff was overwhelmed. Patients only received the most basic care. Treating the illnesses was no longer an option and reports of neglect and abuse as well as unsanitary conditions became common place. Even as the patients were no longer treated for their illnesses, many were still "encouraged" to work the farms that supported the hospital. While this work did nothing to actually cure the patient, it fed them while leaving them with a post-treatment practical skill. In 1921, segregation was ended at the hospital but race relations never eased. This was exacerbated in 1925 when 29 year old Amy Leah Oxford, the white nurse in charge of the vocational and occupational department of the sanitarium, was struck in the back of the head with an axe handle on 15 September 1925 by a black patient named Willie Dixon (aka Willie Sims). Dixon came to the sanitarium in January 1924 having served two terms on a chain gang and suffering from paranoid dementia. Local towns people were outraged and 25-30 men stormed the building. Finding the murderer locked in an isolation cell, Sims was driven to Wilkinson county, chained to a tree and beaten to death with an axe pick handle on 22 September 1925. With over 6,000 patients, in 1929 the hospital was renamed to the Milledgeville State Hospital. 10 physicians struggled to maintain the hospitals patients while a waiting list of over 1500 constantly was filled. To meet the demands, 4 new buildings were added including a dedicated Tuberculosis ward. In preparing to build one of the "new" buildings, in 1938, the black cemetery was dug up and the building was constructed over the disused graveyard. The coffin-less body were dug up, relocate in smaller graves and re-interred together with numbered metal poles serving as the markers. World War II brought another era of struggle to the hospital. By the start of the war, the hospital had 10,000 patients and most had been there over 20 years. The nurses and attendants worked 70 hour weeks for $874 a month. While many of the patients should have been sent home as harmless, the broken system had shuffled them from prison to hospitals without review. upon retiring in 1948, Dr. Y. H. Yarbrough, said: "This is one of the happiest days of my life. In the hundred year history of this building, I am the only superintendent who hasn't been kicked out, or carried out feet first in a casket." After the war, a concerted effort was made to reduce the patient population with radical means. Treatments such as insulin shock and electroshock therapy were routinely used to knock patients into a compliant stupor. In 1951, lobotomies were introduced and 125 patients treated. Only 24 of the lobotomized patients ever saw release. By the 1960s, 12,000 patients were locked inside the hospital. In 1967, the name was changed again to the Central State Hospital. It was also during the 1960s that groundskeepers began removing the metal grave marking poles from the hospital's 6 cemeteries. Most of the markers were simply tosses into the woods with no record of the previous location. It is asserted that nearly 30,000 bodies are interred in the 6 graveyards. Since that time, efforts have been made to relocate the graves but only a small percentage can be located. Presently, the State of Georgia has created the Central State Hospital Local Redevelopment Authority (CSHLRA) and tasked the authority with finding a use for this 1750-acre campus. 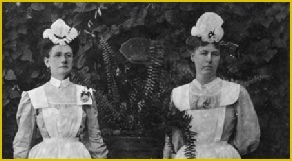 Two nurses in uniform in 1894 at the Georgia State Lunatic Asylum. 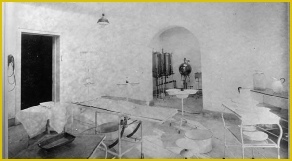 Interior of an operating room from 1894 at the Georgia Lunatic Asylum. 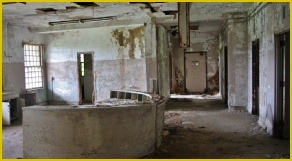 The Jones Building at The Central State Hospital. 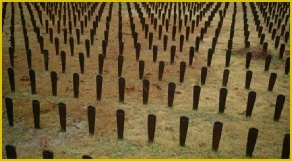 Metal poles marking the graves of the 30,000 dead from their stay in the Asylum.